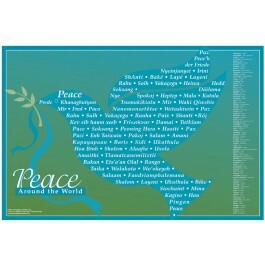 This unique poster conveys the message of peace in multiple languages. 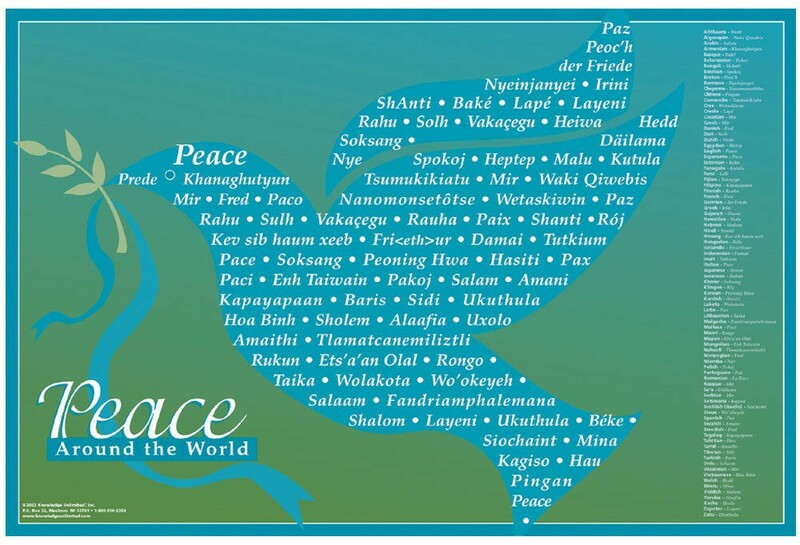 The dove image is made up of the word "peace" in many different languages. A language key is provided on the side of the poster, so students can identify each word and the country it is associated with.